Listen to the WKAR interview with Tom Guarr. The world is looking for ways to store the power generated by wind farms and solar panels. MSU researcher Tom Guarr is working on one way to do that efficiently and, possibly, more safely. 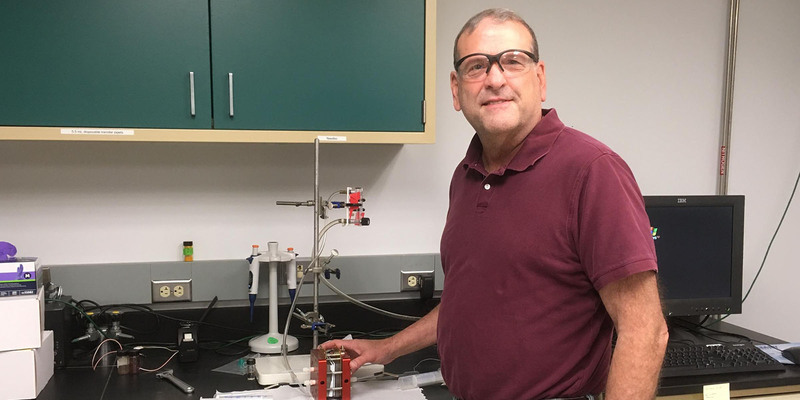 In the Organic Energy Storage Laboratory, Tom Guarr has been working on a project linking his MSU research with a company he and a business partner run called Jolt Energy Storage Technologies.